These presentation slides 39169 are complete compatible with Google Slides. Simple download PPTX and open the template in Google Slides. 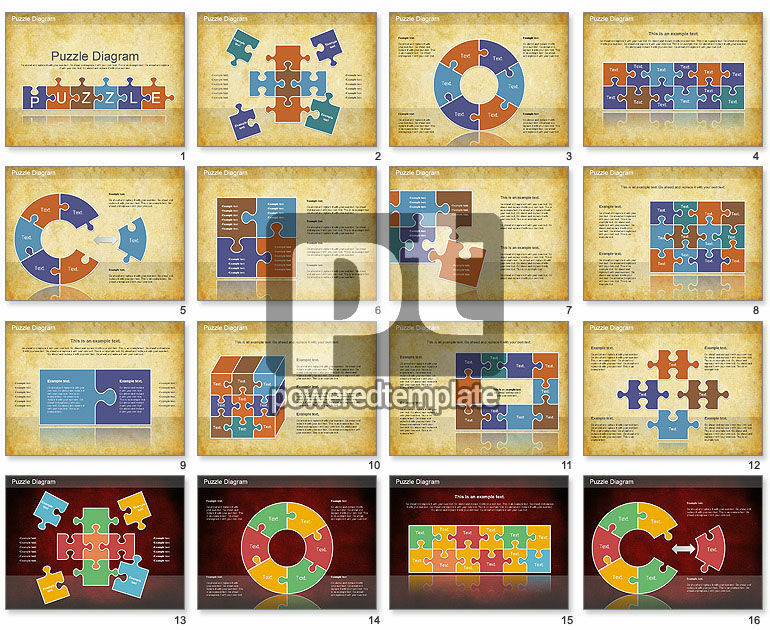 This collection of Jigsaw Diagram with various puzzles on it would be a great choice for presentations on business concepts, business strategies and planning, business development, business proposals, etc.